Preheat oven to 190 °C (375 °F). Heat a saucepan over medium heat and add a little olive oil. Sauté the shallots for 1 minute. Add the bourbon, maple syrup and duck stock to the saucepan. Bring to a boil, and then reduce the heat and simmer on low for 15 to 18 minutes until the liquid has reduced by half. Pour in the cream and simmer for 3 to 4 minutes or until the sauce has thickened. Remove from the burn-er and set aside. 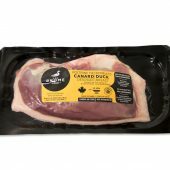 Using a knife, make shallow incisions in the skin of the duck breasts in a grid-like pattern, taking care not to cut into the flesh. Season with salt and pepper. Heat a large ovenproof skillet over low heat. Place the duck breasts in the skillet skin side down. Sear over medium heat for 8 to 10 minutes, without turning the breasts over. If necessary, drain any excess grease from the pan while cooking. Turn the duck breasts over and continue cooking for 8 to 10 minutes, to an internal temperature of 58 °C (137 °F) (insert a cooking thermometer into the centre of one of the breasts). Transfer the duck to a plate and cover loosely with a sheet of aluminum foil. Let it rest for 5 minutes. In the meantime, drain the excess grease from the pan. Deglaze the pan with the reserved sauce and simmer for 3 to 4 minutes over medium-low heat. 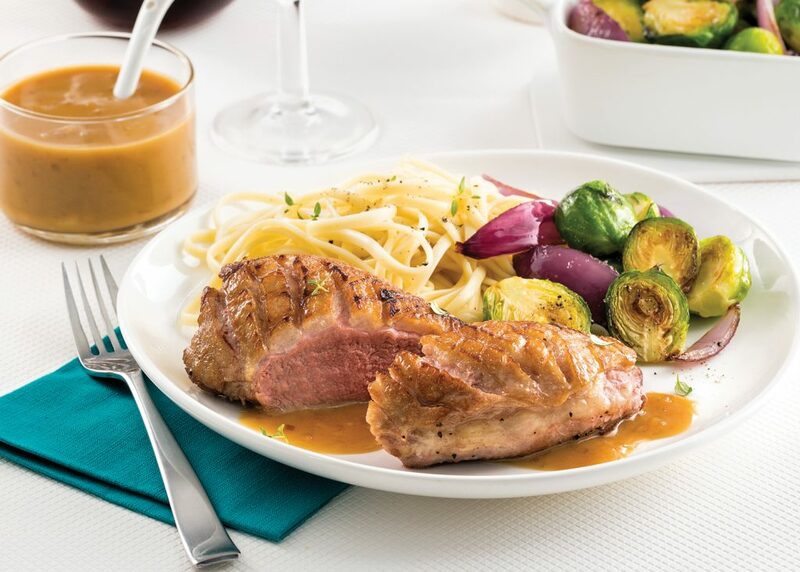 Plate the duck breasts, pour the sauce over top and serve.